We were approached by a rather interesting client last year. It was a newcomer company, determined to take on the telecommunication carriers market and putting against the wall the current oligopoly in Spain. 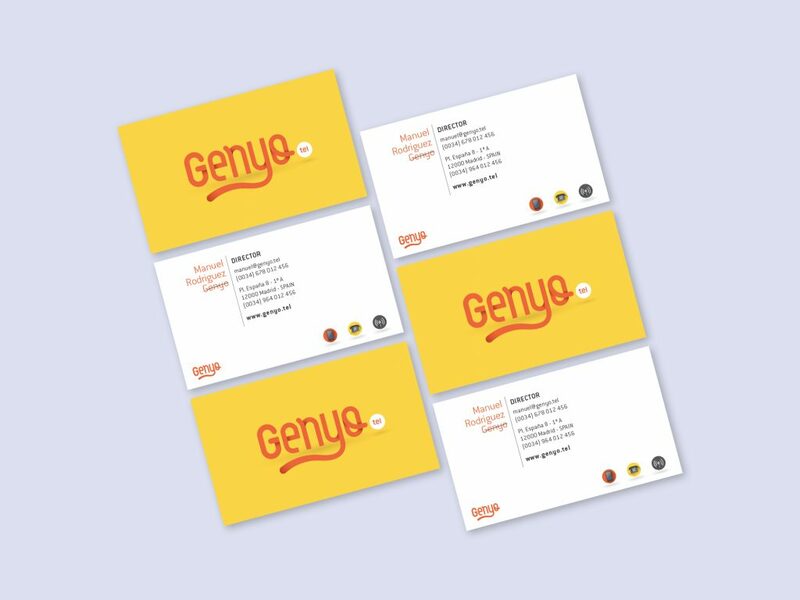 Their name was Genyo.tel, and we needed to take very seriously the branding process. 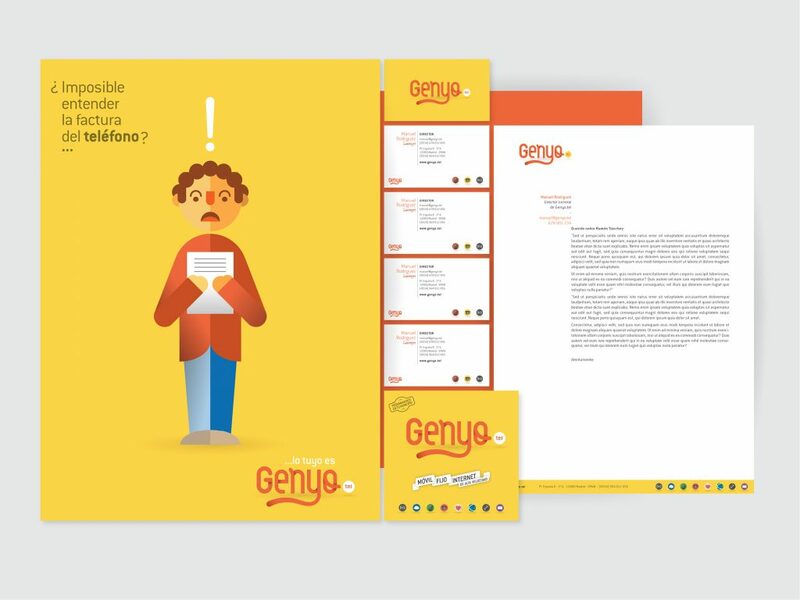 After observing the market positioning of their competition, we opted to give them a childish, funny, papercrafted-looking custom typography and logo, with similar style icons for their services, because their spot in the market was determined by ther user-flriendlyness. 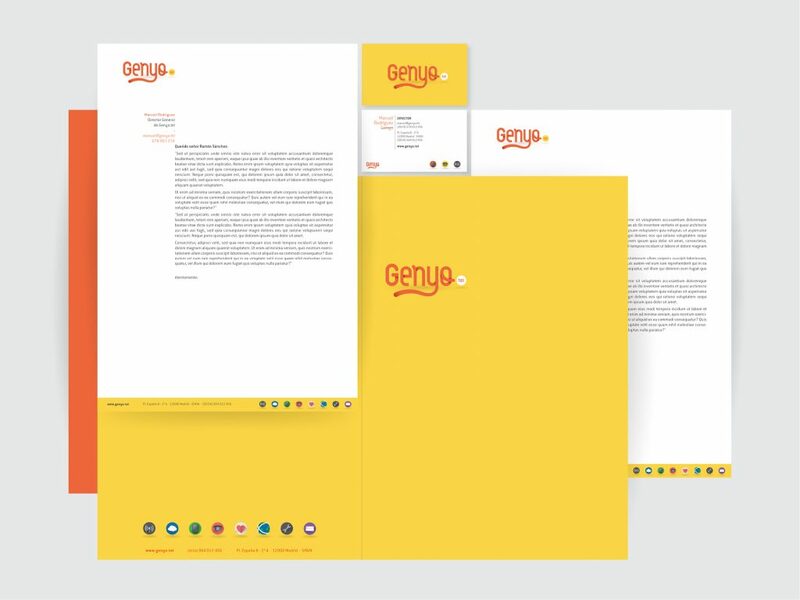 We chose a yellow, orange and white color scheme for their main branding, brochure and stationery, because of the Spanish roots of the company and the contrast created by those colors and the legibility factor of white and yellow backgrounds behind black and orange lettering. 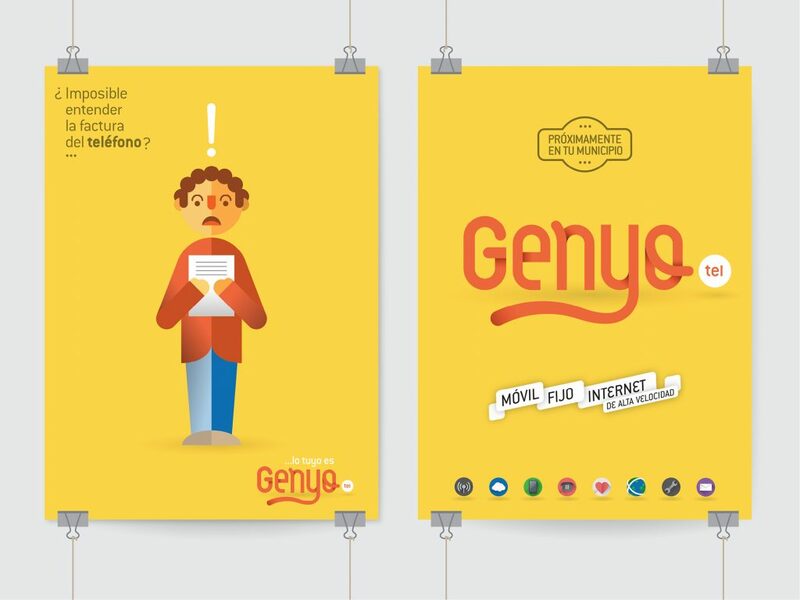 Genyo had a solid idea: become the new high speed internet and mobile carrier in Spain, with easily understandable bills and conditions; and the design needed to be as simple as that, solid and easy to understand.